Often times, the work of engaging families at a school site rests on the shoulders of one or two staff members. High Expectations supports schools to establish teams that focus home-school partnerships in an effort to create a systematic approach to family engagement. This can be a new team or the work of an existing school team. The team assists with assessing present family engagement practices, implementing activities, evaluating next steps and continuing to improve and coordinate practices for all types of involvement. The model is based on proven practices developed by the National Network of Partnership Schools. The team (made up of the school Principal, 1-2 teachers and/or other staff, 2-3 parents, students in high schools, and the family liaison) builds capacity in the school to ensure that all families are engaged in their child’s education. Each year, the team reviews the school’s achievement data and creates a family engagement plan designed to involve ALL families in school success. 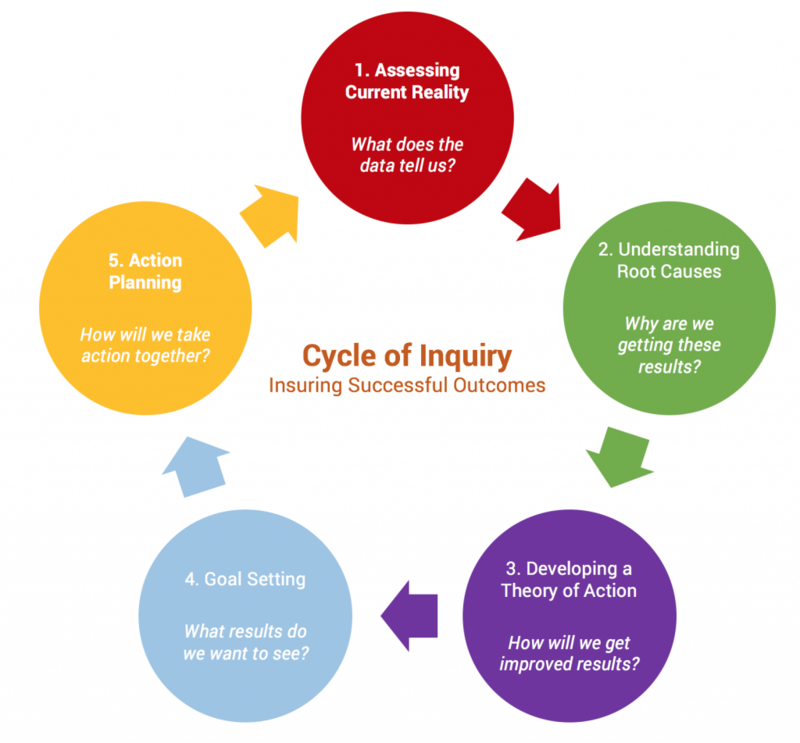 High Expectations guides school teams through a cycle of inquiry process to develop a 1-year Family Engagement Action Plan that is directly linked to student achievement. During the planning process, teams look at their achievement data to determine where to focus their family engagement efforts. The team then identifies opportunities throughout the school year to build the capacity of both families and staff to partner in ways that improve student outcomes. Develop a family engagement plan for the school year based on school achievement and climate and culture data. Develop a family engagement calendar that outlines the activities, meetings, events, resources, and professional development to occur during the school year. Provide professional development for teachers and staff to equip them with the tools and skills needed to increase family engagement among traditionally disengaged families. Facilitate monthly family engagement team meetings and train members to implement the family engagement program. Increase the engagement of traditionally disengaged families. Work together, using the Cycle of Inquiry to develop a family engagement plan that is directly linked to student achievement. Learn to align family engagement practices with School Site Plan and LCAP goals and priorities. Receive research based family engagement professional development and capacity building. Who should come to Family Engagement Learning Institute? Schools who are interested in strengthening family-school partnerships in ways that lead to increased student achievement. School teams are made up 6 to 8 members that must include families, principles, teachers, staff, and community partners. Please click here to obtain more information about our Family Engagement Learning Institute.